Find the page on the UBC Wiki that you wish to embed in your WordPress site. Note the URL of the document on the UBC Wiki. 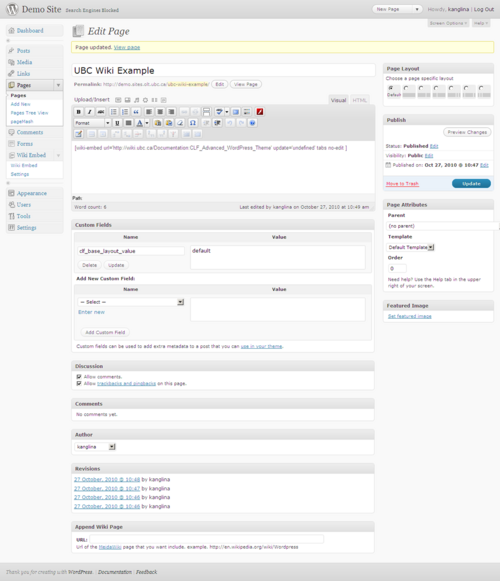 In WordPress, go to the page where you would like to embed the content from the UBC Wiki and open the page in Edit mode. Click on the Wiki Embed button. 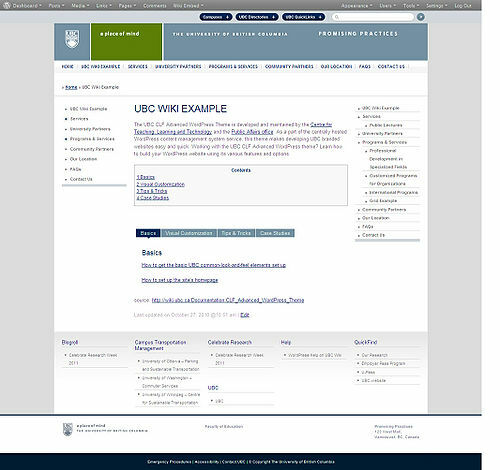 Paste the URL for the UBC Wiki document you wish to embed in your page and check the appropriate fields. 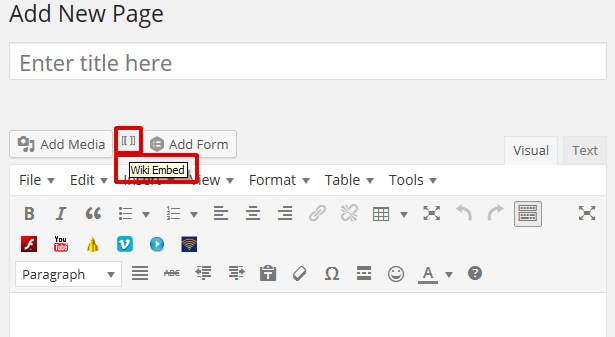 The Insert into Post/Page button will place Wiki Embed shortcode in your page, as shown on the image below. Save your changes and publish the page. You will see the content from the UBC Wiki embedded within your webpage. 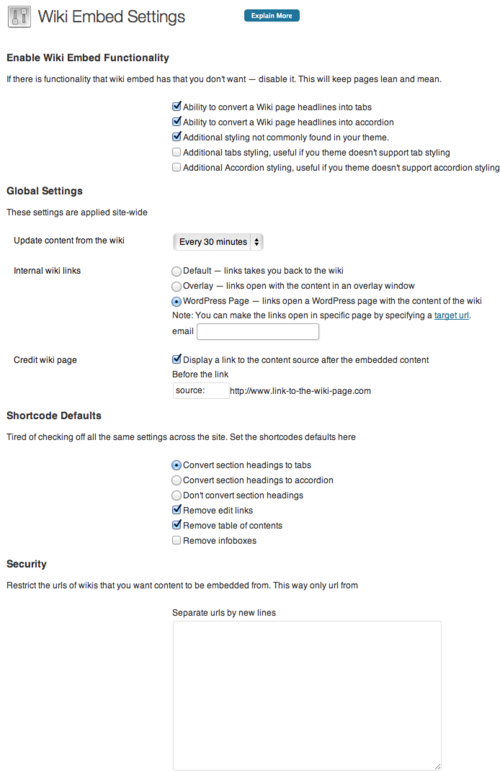 You can control the settings for the Wiki Embed plugin by going to Dashboard -> Wiki Embed -> Settings. Under Global Settings -> Internal wiki links you now have the option of entering an e-mail for notification when a new temporary WordPress page is created so that a target URL can be added. The new Wiki Embed also has a list of the Wiki Content that a particular site is embedding. 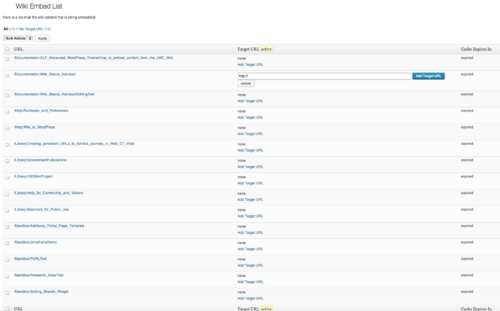 This content can be found at Dashboard -> Wiki Embed -> Wiki Embed List. Yvonne Chan July 6, 2015 at 12:39 pm Permalink | Log in to reply. UBC Library IT April 12, 2019 at 3:28 pm Permalink | Log in to reply.